Even a hurricane can’t stop the Miss Gay America pageant. Last week saw the 45th annual event make its way to New Orleans. Meanwhile a tropical depression named Nate was building up strength and came swirling into the Gulf of Mexico. Despite the storm hitting the city with more of a whimper than a bang, Nate managed to throw a wrench into the country’s most prestigious female impersonation competition. But it takes a lot more than winds and rain to topple a pageant queen, and with some minor shifting of the nearly week-long competition’s programming, a brand-new Miss Gay America was crowned. Deva Station — hailing from Columbus, Ohio — was a previous Miss Gay Ohio America and competed this year as Miss Gay Heart of America. Last week marked her seventh year competing for the ultimate title. For those uninitiated into the phenomenon that is the Miss Gay America pageant, it’s best described as a highly professional (and highly regulated) female impersonation competition more akin to those pageants existing for cis women than the weekly drag revue you’d catch in your local gay bar. For starters, every aspect of this pageant system is outlined by a rather heavy handbook. It’s a contest open only to men 21 years or older, and they’re unable to rely on outside enhancements in any way. That means no hormones, no implants, no silicone and no injections — excluding the face, of course — before and during their reign. For a sense of just how seriously the Miss Gay America pageant system operates, contestants can receive “administrative point deductions” for infractions as varied as unlabeled competition music, tardiness, poor sportsmanship, excessive profanity or visible tattoos. Miss Gay America runs a tight ship, and that’s one of the reasons it’s considered superlative in the world of pageant systems. During the multi-day pageant, contestants are scored on a variety of competitions that include male interview, evening gown, talent and presentation, each scored separately. The total of a contestant’s scores eventually determines the pageant’s top 10. Performances in the Miss Gay America pageant system are varied — from song and dance numbers to stand-up comedy — but one thing is consistent: for most contestants, no expense is spared. Miss Gay America can become quite a pricy undertaking, which has made fundraising a necessary component of competition. The gowns, the hair, the jewelry and the shoes are all obvious costs, but expenses can also include backup dancers, designers and travel for a contestant’s support team. As the saying goes, it takes a village. Last week’s pageant saw 41 contestants compete for the crown, each of which made it to the national stage in New Orleans by way of feeder competitions throughout the United States. City prelims lead to state competitions, and coupled with regional pageants that are unaffiliated with states, the contestants of Miss Gay America are made up of winners and first alternates from around the country. The number of contestants ultimately competing for the crown of Miss Gay America 2018 — on city, state and regional levels — likely totals more than 1,000. The reign of a Miss Gay America is not unlike that of a female Miss America. Among other duties, the crown-bearer is tasked with attending numerous preliminary competitions, including all of the pageant system’s state pageants. Also akin to the female Miss America system, charity plays a huge role in an MGA queen’s reign. Benefitting from the reign of Ohio native Deva Station is Camp Sunrise, that state’s only summer camp program developed specifically for children impacted and affected by HIV. 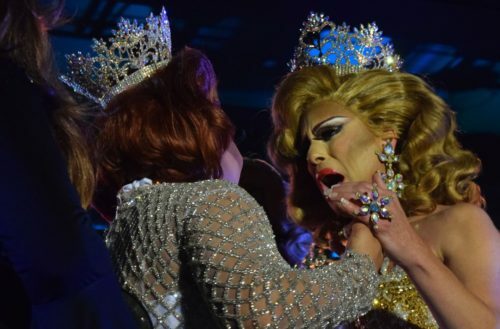 For a contestant in the hallowed Miss Gay America pageant system, particularly those who are longtime competitors, there is simply no more exalted honor than the crown. No one understands the ins and outs, the painstakingly long nights and the early mornings of the Miss Gay America pageant system more than the contestants who live it and who often make it their life’s number one priority. So we went straight to the source, speaking with more than a dozen state and regional winners. We also spoke with Michael Dutzer and Rob Mansman, owners of the Miss Gay America pageant, and Norma Kristie, the very first Miss Gay America in 1973, who later owned the MGA pageant system from 1975–2005. Each contestant takes a different path to get to Miss Gay America, and each has his own story about initially discovering the pageant. Norma Kristie recalls the club in Hot Springs, Arkansas, where she regularly performed receiving a flyer in the mail advertising the very first MGA pageant. These days, many contestants learn of Miss Gay America through friends who are competing at the local or national level. Sometimes they even perform as backup talent in the pageants themselves. That was the case with Deva Station, who hadn’t even donned drag before performing as a backup dancer in the national pageant. Owners Dutzer and Mansman had sponsored friends in the pageant system and only a few years ago experienced the national pageant for the first time. Still other contestants become enthralled upon meeting reigning titleholders or watching them perform in local venues, even occasionally having to wait years before they’re of-age to compete themselves. 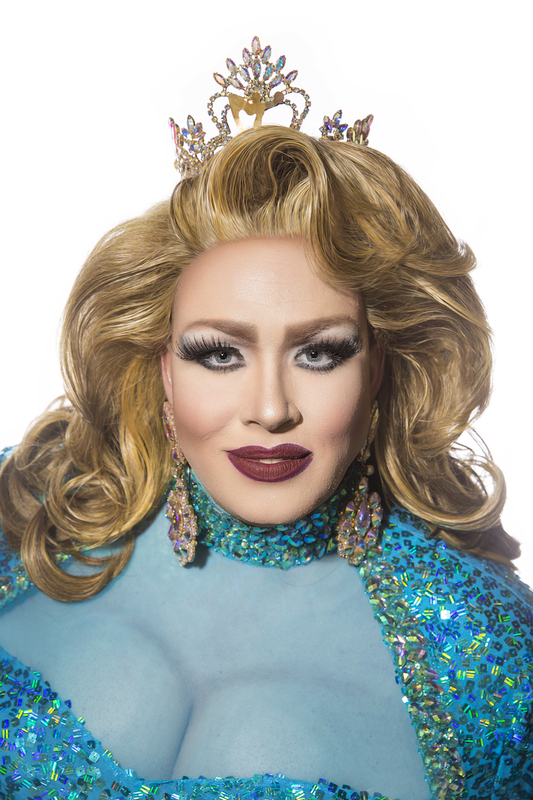 Sasha Leigh Chambers, Miss Gay Tennessee America First Alternate 2017: I was in the backseat of my parents’ car and rode by a marquee sign that said “Miss Gay America Pageant 1996.” It made my heart drop and gave me instant goosebumps as I realized what that sign meant. Mary Nolan, Miss Gay Northeast America 2017 First Alternate: In Ohio, the Miss Gay America system is the system for female illusion. Nearly every entertainer I looked up to is a part of the system, and I wanted to be part of that legacy. 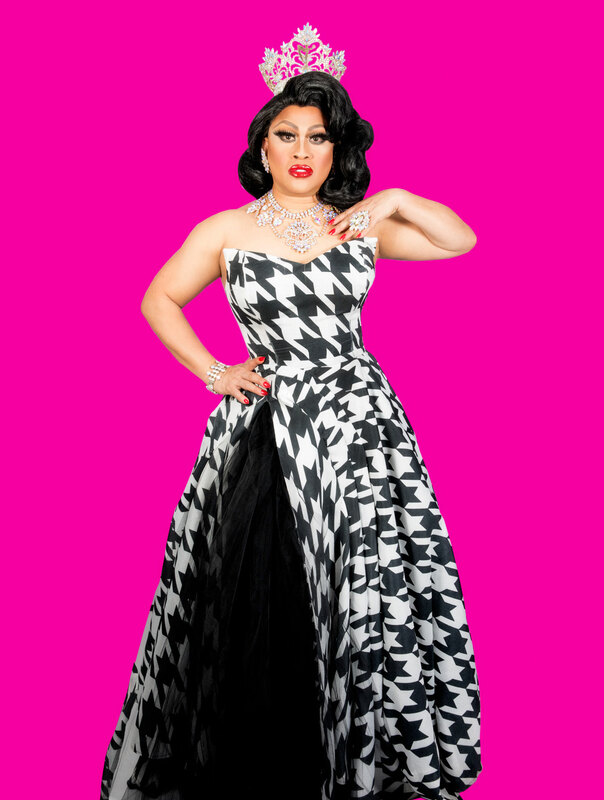 Suzy Wong, Miss Gay America 2017: I was working in Nashville at Play Dance Bar. I had just started doing drag and someone suggested I look into the Miss Gay America system. Well, that totally opened a can of worms! A few weeks later Miss Gay Nashvile America was happening, and I entered. I did pretty well. I had no coaching and really didn’t know how the system worked. I won Talent and Interview and totally bombed in gown. I kind of just did my own modeling, and in MGA there are certain points you must hit onstage. But I literally twirled my way to fourth place. 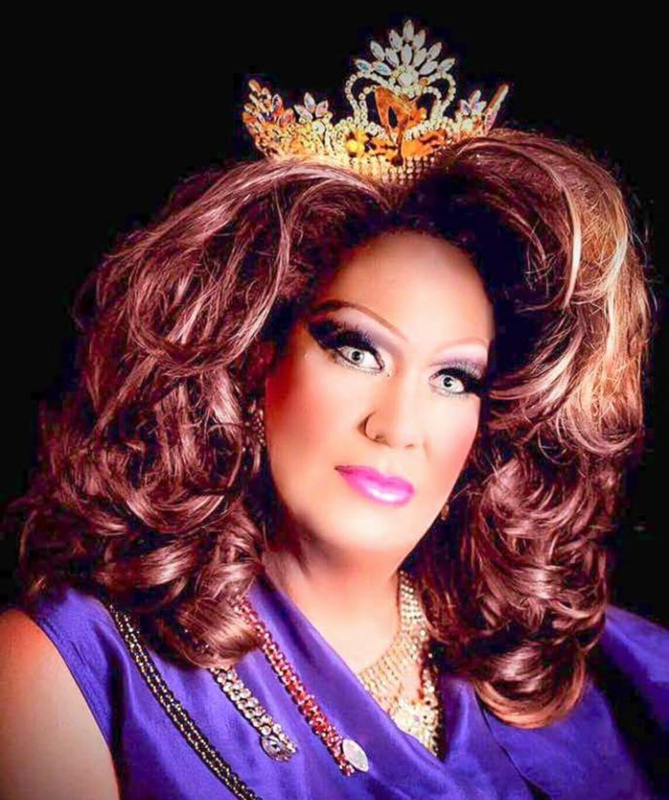 Deva Station, Miss Gay America 2018: I was asked to be a backup dancer for a queen who was competing at Miss Gay America. Not knowing anything about it, I went into it thinking, “Oh, it’s a drag show. We’re going to do a little step-touch-behind.” Then when we got there it was Broadway-level production numbers, one right after the other. I thought to myself, “Wow. I didn’t even know this existed. I want to be part of this. I want to try this.” Backup dancing for a contestant actually inspired me to try drag myself. Then the next year I kind of accidentally ended up being Miss Ohio America and competed there on the same stage myself. If you ask the contestants of Miss Gay America, it’s a competition unique from all other pageant systems. 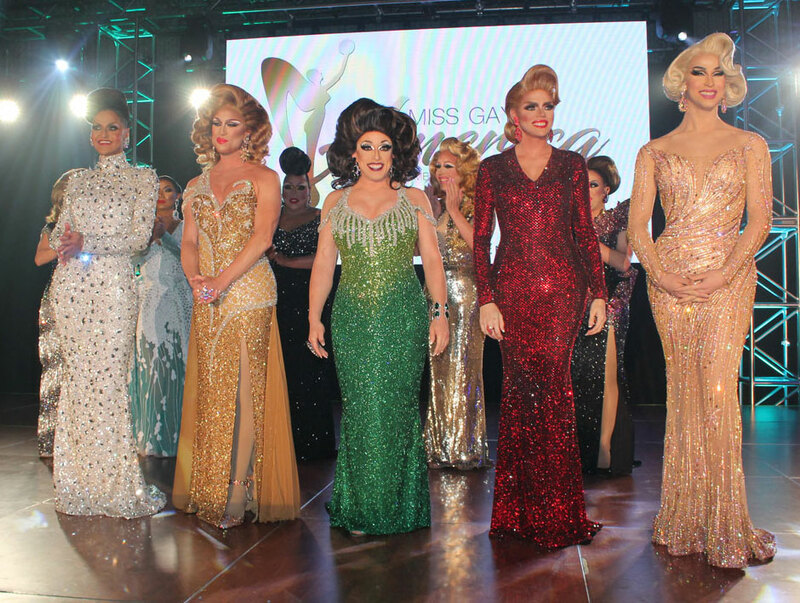 The fact that these are men in drag is the most obvious differentiator between MGA and female pageants, of course, but even among the female illusion pageant circuit, Miss Gay America is considered in a class of its own. For starters, MGA is the oldest drag pageant system on the block, dating back to the early ’70s, but it’s the legacy, values and professionalism inherent in its every aspect that fills these contestants with a genuine sense of prestige. Many also consider the MGA handbook — with its litany of rules and regulations — to be a defining characteristic of this pageant’s supremacy. 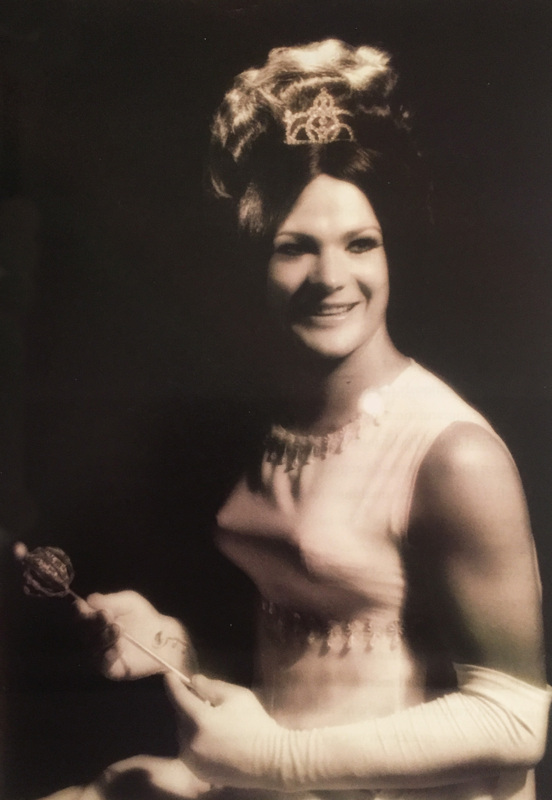 Norma Kristie, Miss Gay America 1973: First of all, Miss Gay America was the first in a long line of drag pageants and has certainly set the standard for most drag pageantry. Regarding the distinction from “mainstream,” it’s obvious that Miss Gay America is about men impersonating women, but it’s also intended to celebrate every member of the LGBTQ+ community. Suzy Wong: MGA is the only national pageant system that requires the contestants be born male, with no augmentation or surgeries below the neck. (I always laugh when I say that.) I find MGA prestigious because of our commitment to standards, the travel opportunities and we also have the largest prize package on the scene. Sasha Leigh Chambers: The history makes MGA prestigious — all those people who walked through picket lines and protesters just to follow their dream. Blaze Duvall: The legacy is what I think sets us apart and makes us more prestigious. Every female illusionist knows if you’re looking for perfection, you go to the Miss Gay America system. Jessica Deveraux, Miss Gay Western States America First Alternate 2017: Having been one who has competed in the many different levels of MGA as well as different systems, I return to Miss Gay America because their core values are most in sync with mine. Mary Nolan: Miss Gay America is different because of its values. Each pageant system has its own, and MGA values professionalism both on and off-stage. We’re expected to look professional at all times, in and out of drag. 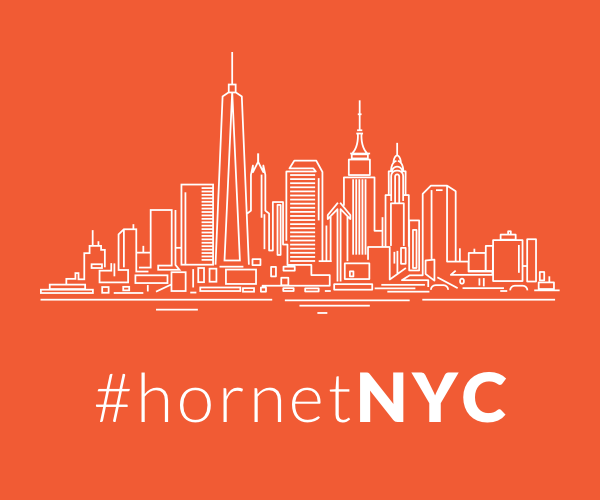 We’re expected to maintain a professional social media presence, and to behave professionally at all times. You won’t see a titleholder stumbling around and getting into a fist fight at a bar. Regardless of how contestants initially heard of and eventually became involved with the Miss Gay America pageant system, each brings preconceived notions — of both MGA and the drag pageant system in general — to the table, and they aren’t always positive. But many Miss Gay America contestants and winners also remark at how quickly those preconceived notions changed. 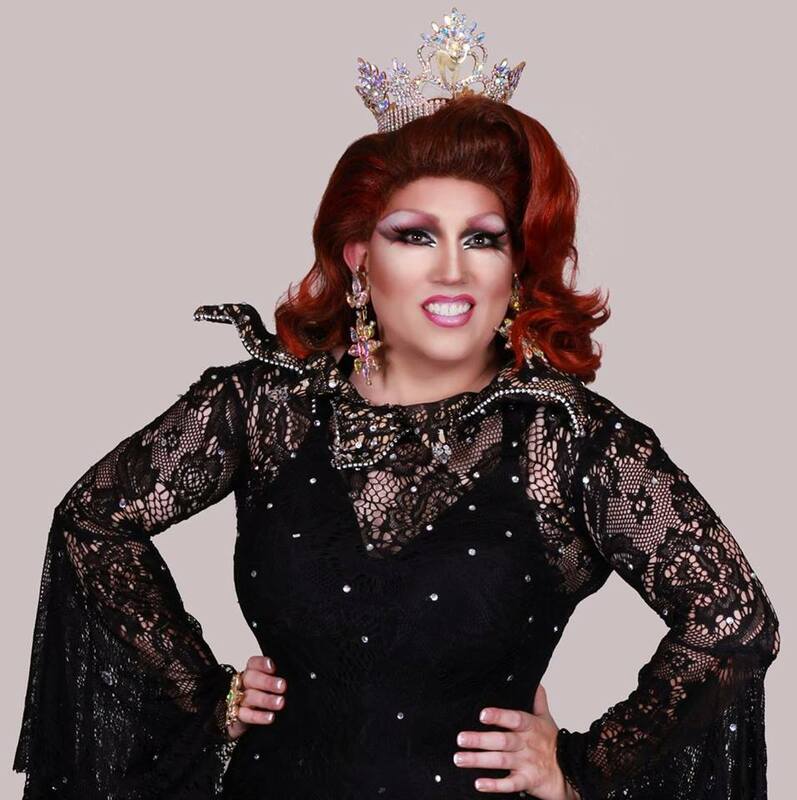 Karma T. Cassidy, Miss Gay Missouri America First Alternate 2017: Initially I was amazed at how seriously the contestants took competing. I had always seen drag queens as clowns of sorts, there for our personal enjoyment and to make bar-goers laugh. When I saw how disciplined the pageant queens were, I was shocked and intrigued. It was before I ever got serious with my own performing, and I finally understood there was a whole other level of queen out there who really wanted to grow and learn. I was hooked. Brittney O’Bryan, Miss Gay Mid America 2017: In the beginning I really felt the MGA system was only for the legends and elite entertainers, and then I realized it’s a stepping stone for completion of a dream that you can have and fulfill. 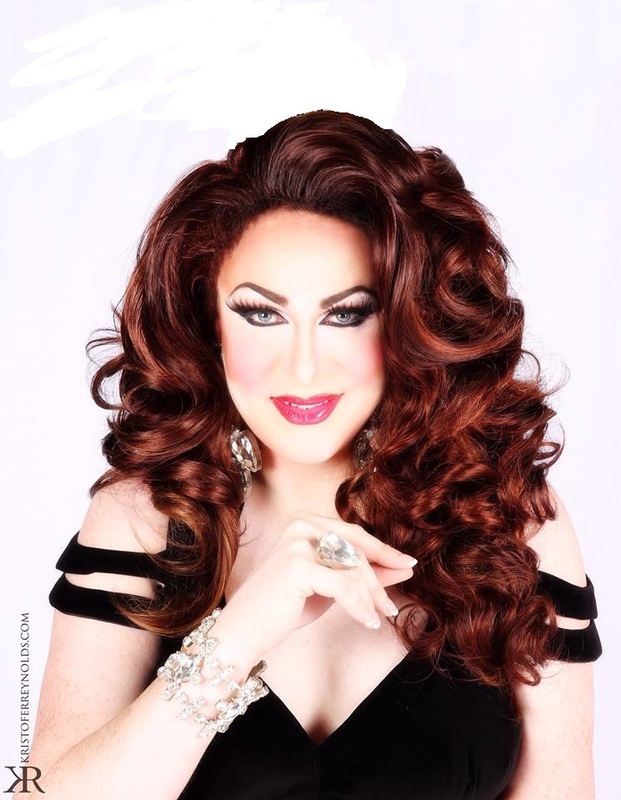 Araya Sparxx, Miss Gay Eastern Elegance America 2017: My initial thoughts were wow, what incredible talent, and such a legacy of amazing leaders. My thoughts haven’t changed within the last 13 years of being involved, but my passion and drive have increased with each year in competition. Brooke Lynn Hytes, Miss Gay America First Alternate 2018: Miss Gay America seemed very prestigious but a little bit uptight, to be honest. But I’m glad to see pageantry in general relaxing a bit and catching up with the times. Suzy Wong: There has been a stigma about MGA in the past — as being stuffy and cookie-cutter. I feel we have recently achieved some great momentum with the brand. There’s a fresh insight and cool factor now. Norma Kristie: The bar in Hot Springs asked me to go as their representative [to the very first Miss Gay America], so I went. It was something new for the drag community. Regarding whether my thoughts have changed, I’m always concerned about the direction the pageant is going and the cost associated with being a contestant or a promoter. Right now it appears to be headed in the right direction and hopefully that will continue to be the trend. Karma T. Cassidy: My thoughts have evolved over the years, since actually competing in pageants, but I wouldn’t say they’ve changed. I’ve been involved in nearly every level of the MGA pageant system — I’ve dressed contestants, competed, been involved in contestants’ talents, promoted for the system and have been a titleholder. I see the inner workings and understand all of the work that’s involved with being successful. Deva Station: I guess I didn’t really have a formed opinion about pageantry, because I wasn’t around it. I had danced for Nina West, a Columbus entertainer, when she won a national pageant called Entertainer of the Year. That was kind of my introduction to pageantry as a whole, but I wanted to be in a system where I could be both boy and girl. That was important to me, and that’s why I chose Miss Gay America. Mary Nolan: My initial thoughts of pageantry in general were that it was a waste of time and money. When I first started entertaining, I thought it was just a way spend money on a sparkly hat. My thoughts have changed dramatically! If you allow it to, pageantry can teach you to be a better entertainer and a better person. My own experience in the Miss Gay America system has changed my life for the better. MGA taught me to be a better female illusionist, and how to be a man. It’s no surprise that each contestant in the MGA system has their own tales of how the pageant system has affected their lives personally. For some, the pageant affords a life of travel, excitement and the opportunity to come face-to-face with their drag icons; but all claim the Miss Gay America system has made them better — a better illusionist, a better performer, a better businessman, a better human. Brittney O’Bryan: MGA for me is filled with memories of those who have gone before me. I have met some of my chosen family and some of the most inspiring legends of the female impersonation world. It’s something I have dedicated my life to since 1991, and it continues to change my life in all areas. Personal growth in this system has even changed the professional I am in the real world. Karma T. Cassidy: MGA has made me better — not just as an entertainer but as a human being. It has made me focus on my art form and on how important it is to use whatever platform I’ve been given to make a difference in the lives of those who are less fortunate. Sasha Leigh Chambers: I eat, breathe and sleep MGA. It is truly my life’s goal since I was 5 years old watching the Miss America pageant on television, wearing my Burger King crown and sitting with my big sister to see year after year who was going to be crowned. On my way home from work, I turn the radio off and ask myself intense interview questions and answer them. I practice modeling gowns in my studio in front of a mirror weekly. I change my diet leading up to MGA. I steadily improve each year, and a couple years have actually made the top 10 at MGA. Every year I pray this is my year — that I am crowned MGA to join a sisterhood and become part of a winning family of entertainers that came before me. Mary Nolan: In a very real sense I have become a better leader at work, a better mentor to my students and friends and a better listener to everyone. I have also become a better husband because of MGA. Tatiana Clark, Miss Gay Pennsylvania America 2017: The pageant has helped me cope with my anxiety and stress. My mother is currently fighting cancer, and it has been a tough road for me as well as for her. But getting ready for the pageant helps me release and forget about the negative. My island of Puerto Rico was recently hit by a massive hurricane. To this day I’m yet to know how my family is, and that’s stressful. But as I’m waiting for that phone call for someone to say “I’m OK,” I have been stoning, rehearsing and beading. It keeps me busy. I have to be thankful I’m a part of it. Norma Kristie: Miss Gay America changed my life dramatically, not only as the first Miss Gay America, but also as the promoter for 30 years. It was a pleasure to be involved for as many years as I was. The crowning moments for me were always the grand productions that we put on. Spectators were given a show, not just a pageant, which was most important considering that’s what the audience pays to see. 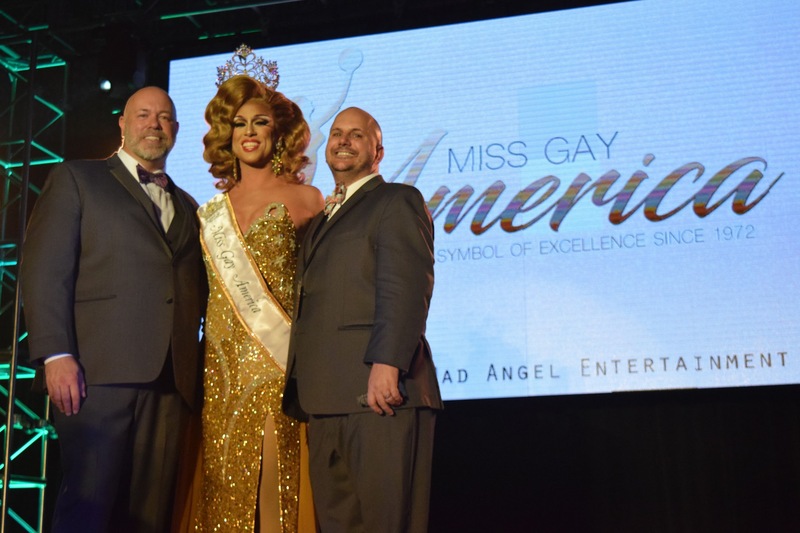 What traits are required to take home the Miss Gay America crown? Every contestant, past and present, lists a different set of qualities that must be present in a titleholder, but all lead to the idea of a well-rounded performer and businessman who is both confident and selfless, determined and authentic, well-organized and passionate. Deva Station: I think you have to be determined. Some may walk in and win their first year, but for others it can take 10, 15 years. I was fortunate that seven years was my number, but I think you have to be incredibly dedicated. You have to have a strong sense of self, so that your ego doesn’t get bruised each time. You have to be able to handle critique and apply those critiques, so open-minded. Organization is essential. You may be beautiful and talented, but you also have to be a business person. I think that was a determining factor for my win. I feel like male interview and showing them that I could run a business, that I’m responsible, that I’m organized and have good time management skills — I think that was essential to my win. Suzy Wong: Authenticity is my number one requirement in a Miss Gay America. Winning a crown is one thing, but holding the title with dignity, respect and sincerity is what makes a winner. Karma T. Cassidy: Approachable, authentic, engaging, entertaining, adaptable and entrepreneurial. Barbra Seville: I think it takes a unique focus, a determination, some natural talent and a desire to help others make their dreams come true. Mary Nolan: It’s been said that you just need to be good for about 24 minutes to win a crown. I think it’s more than that. Winning the crown is more about what you do before you get to the actual competition. It’s about preparing everything in your package so that it not only represents your brand but also is a statement of excellence. You have to look at every piece of the package in a 360-degree fashion and highlight what makes you you. Then again, what do I know? I haven’t won yet. 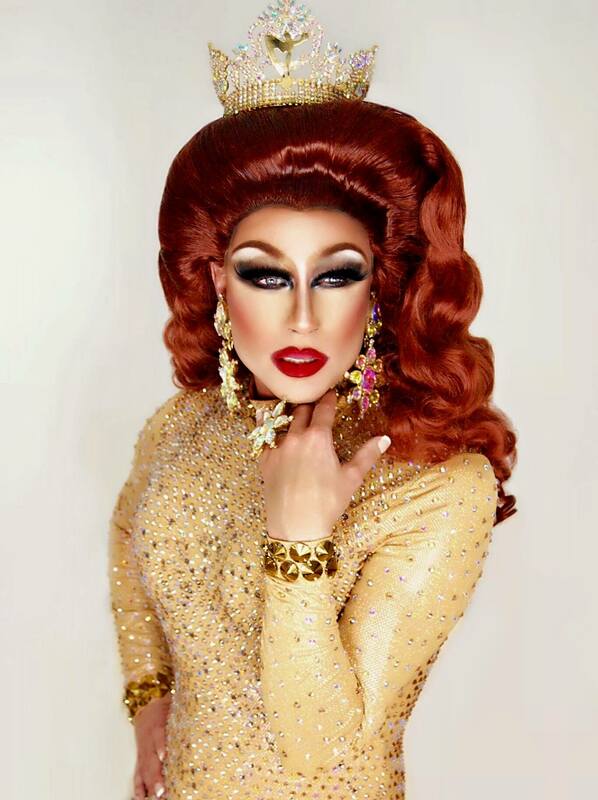 Brooke Lynn Hytes: Talent, poise, intelligence and passion. Norma Kristie: In my opinion, the winner needs to be good in every category — maybe not the best, but good. They should excel in at least one or two categories and should present a good image of the system. Their talent, public speaking and social skills are extremely important. Looking back over the years, there have been some who were clear winners and some who weren’t. And you can read more about that in my book, My Life, My Pageant, My Crown. That’s an idea mimicked by many of the pageant’s past contestants and winners. The Miss Gay America crown has come to symbolize the ultimate in commitment, hard work and excellence — for queens who participate as well as spectators. But even more so than using the pageant system to hone their own craft and become the best performer they can be (and better people in general, as some say), creating and nurturing a sense of community within the LGBT umbrella is paramount for many. And this pageant system naturally creates a sense of community within its walls as well. As many of the contestants tell us, several elements of the Miss Gay America pageant system are more akin to curating a family than a competition. Barbra Seville: Miss Gay America is the pinnacle of female impersonation. The crown is a symbol of the hard work, commitment and attention to detail it takes it be recognized as the best in your field. Tatiana Clark: I think the Miss Gay America pageant is well-known as a symbol of excellence — for making queens goddesses in the eyes of the new generation of queens. That has the ability to make you feel like you’re part of a family. 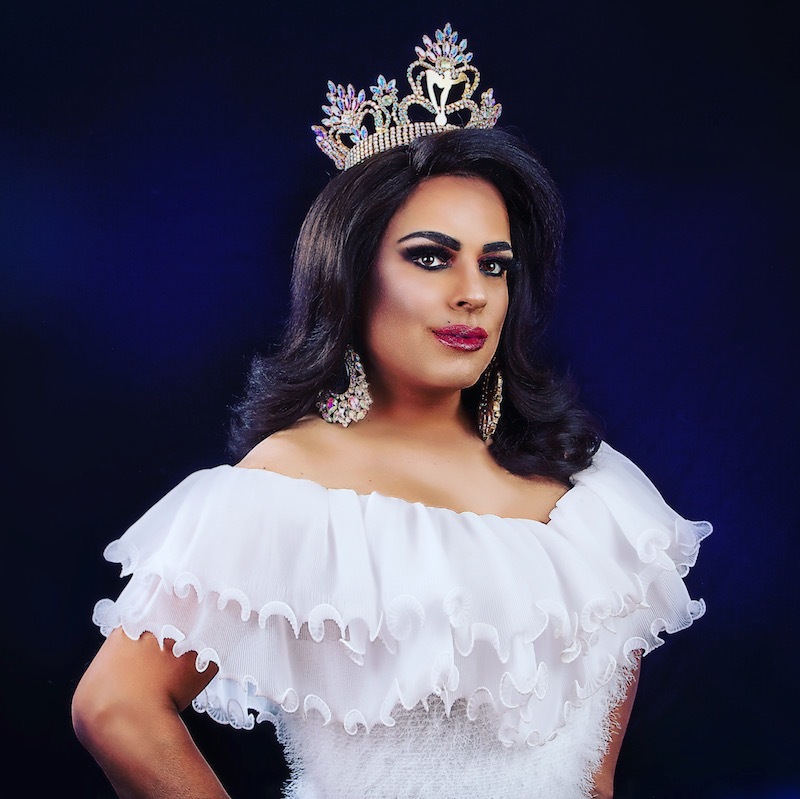 Jessica Deveraux: The goal of Miss Gay America is to showcase excellence in the art form of female impersonation, to promote acceptance within the LGBT community and to empower our youth for a brighter tomorrow. I believe with the onset of shows like RuPaul’s Drag Race, the next step is to bring the Miss Gay America pageant mainstream. Deva Station: Each time you go to the MGA system — like this year — you’ve traveled 15 hours in the car. You’re hot, you’re tired, you’re anxious, you’re nervous, you’re sleep deprived. And then you walk into that hotel lobby. It’s absolutely like walking into a family reunion. You look around and you know every face. It’s people that you may see only once or twice a year, but that bond is strong because of the pressure you’re under. You form a different kind of a friendship, more of a family. You’re leaning on each other. You’re asking for help. You’re asking for guidance. You’re asking for a smile or an applause when you’re onstage. It’s so competitive, but it’s also so kind and nurturing. Mary Nolan: For me, the value and goal of the Miss Gay America system has always been about growth. While winning the big dance would be amazing, I’ve found that I’m better both on and off-stage. Pageantry forces you to elevate your costuming, hair and overall look, and when you reign and administrate a system, you become a better leader. Suzy Wong: We have a long history, and many legends pay homage to this system as being a strong foundation for who they are today. The visibility MGA affords is a promising opportunity, too, being that we have some of the largest participation nationwide and our brand can be seen everywhere. Deva Station: I didn’t know my first alternate well going into this pageant system. We both qualified in March. She lives in Nashville, Tennessee. I live in Columbus, Ohio. Other than a little correspondence via social media, we didn’t really know each other. By the end of the week, we ended up standing as the final two, and the conversation we had onstage before the crowning was like the pinnacle of the whole week for me. I know that I’ve made a friend for life. I know standing there looking at each other, we would have been happy no matter who won the title. No matter where the crown went, we would have been happy, and we would have been supportive. It’s rich. It was an amazing feeling, and I think family … I don’t even know that you can understand how family-oriented Miss Gay America is until you’re in it.